Georgia’s public libraries are a place where children and families can discover the joy of reading, get help with homework, learn through hands-on STEAM activities and get free admission to great places around Georgia. 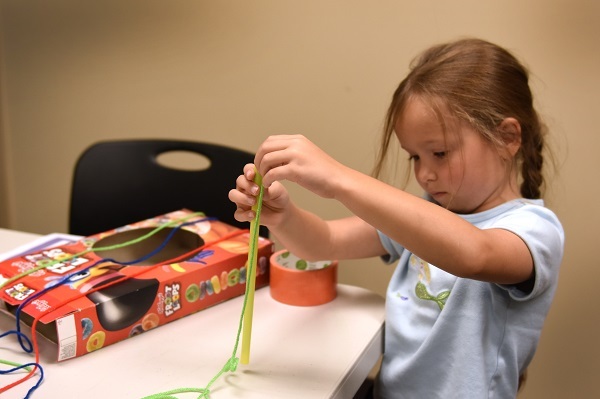 Children can express their creativity at one of the many library makerspaces around the state. These activities encourage engagement and critical thinking as they help children learn about robotics, engineering, cooking, electronics and more! Our libraries are innovating programs to engage youth in everything from gardening to encouraging reluctant readers. Take advantage of special programs, including children’s story hours, summer reading programs and homework help. If a child has special needs, ask about services the library offers for children with visual or hearing impairments. There’s something at the library for everyone. Find your local library and check their events calendar to find programming near you. Explore this page to see what else libraries can offer your child. Find children’s books, DVDs, CDs and more in PINES-participating libraries across Georgia. There are nearly 400 libraries in Georgia. Find one close to you. A section of the GALILEO website (“Georgia’s Virtual Library”) with resources for kids in grades K-5. The National Library Service Kids Zone offers braille and audio materials to eligible borrowers in the US. A makerspace is a collaborative work space for making, learning, exploring and sharing that uses no-tech to high-tech tools. These spaces are open to kids, adults and entrepreneurs and have a variety of maker equipment including 3D printers, virtual reality glasses, Legos, paint sets, soldering irons and even sewing machines. Get Georgia Reading is a collaboration of more than 100 public and private partners that are finding new ways of working together across Georgia, across sectors, across agencies and organizations, and across the early years and early grades, using data to inform decision making. The goal is to increase the reading proficiency of Georgia’s children. PRIME TIME, a unique six-week humanities-based program of reading, discussion and storytelling at public libraries and other venues, emphasizes the importance of families reading together to discuss significant cultural and ethical themes. 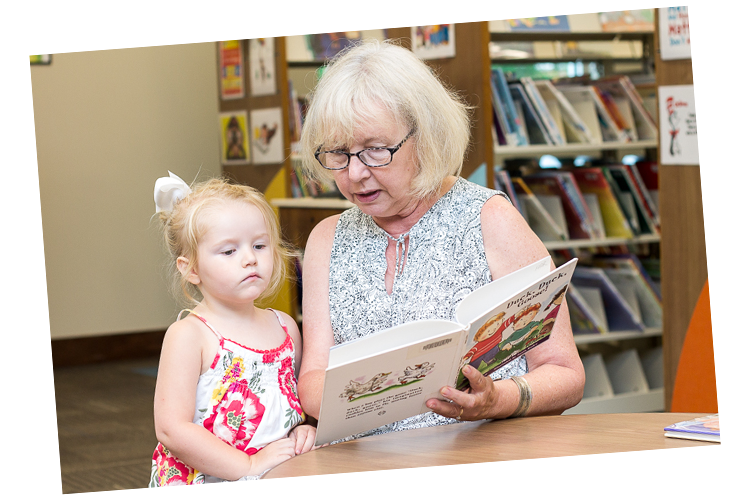 Created in 1991 by the Louisiana Endowment for the Humanities, this statewide family literacy program with national affiliates creates a precondition for all future learning by empowering parents/guardians to help their children enjoy reading and improve their reading abilities. Since the early days of the PRIME TIME national expansion, Georgia has held 52 PRIME TIME programs in over two dozen communities across the state. PRIME TIME Georgia is supported in part by funds from the Institute of Museum and Library Services under the provisions of the Library Services and Technology Act as administered by Georgia Public Library Service, a unit of the University System of Georgia, and through a grant from the Georgia Humanities Council. To become a PRIME TIME site, please contact the director of Youth Services at eblack@georgialibraries.org for more information. Research shows that children who read during the summer do not have to suffer reading loss and may even show some growth in their reading ability. We coordinate the annual statewide Summer Reading program that encourages children and families to read for fun during the summer months. 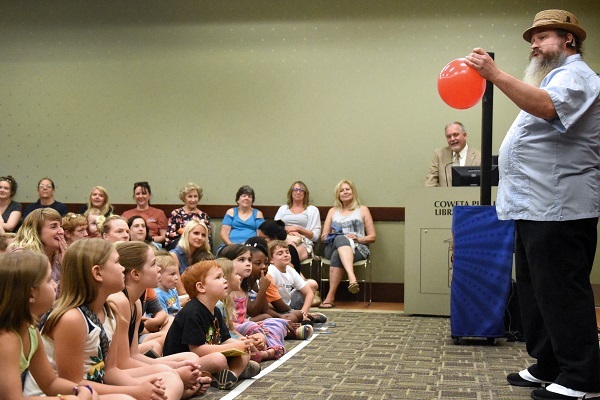 Public libraries across the state promote summer reading by offering reading logs and prizes and by hosting activities such as storytimes, puppet shows, arts and crafts, and magic shows. Children who participate receive rewards for achieving reading goals. Visit or contact your local public library to see what they have planned. GPLS participates in the Collaborative Summer Library Program. You can find info on the program on the CSLP website.